Grab a free Starbucks Gift Card (worth $10)! Page Advisor (www.pageadvisor.com) , Southeast Asia’s leading mobile commerce platform, has launched an exciting promotion for its users. Grab a free Starbucks Gift Card, with complements from Page Advisor. New users are encouraged to download the Page Advisor mobile app in their smartphones to enjoy the promotion. Enjoy your favourite Starbucks drink on us! Reward yourself with a cuppa at Starbucks, sponsored exclusively by Page Advisor! Grab a free* Starbucks Gift Card (worth $10) and have it delivered to your doorstep through the revolutionary Page Advisor mobile app. Promotion valid from 20 Oct till 5 Nov 2015. Limited to the first 200 new customers per day, while stocks last. *$2 shipping & handling fee by Page Advisor applies. Share this with your friends! Treats are always sweeter when enjoyed together. · Sponsored by Page Advisor, for Page Advisor’s new mobile app users. 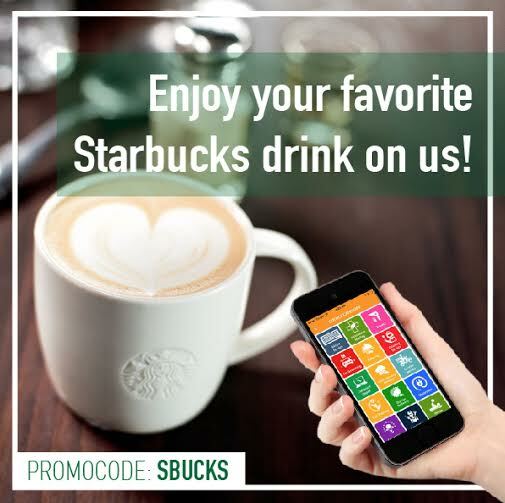 · Promo Code “STARBUCKS” is valid for first time users, registered on Page Advisor. · Limited to first 200 new users per day, from 20 Oct – 5 Nov 2015. · Promotion ends on 5 Nov 2015 or while stocks last. · The Starbucks Gift Card will be mailed to you at your registered address.